Looking for an UPSCALE MAINTENANCE FREE lifestyle with out the hassles of home ownership? EXCEPTIONAL home showcases gleaming ENGINEERED HARD WOOD floors, plantation SHUTTERS throughout, large CLOSET under the stairs, GRANITE counters in kitchen & baths & CATHEDRAL ceilings upstairs. 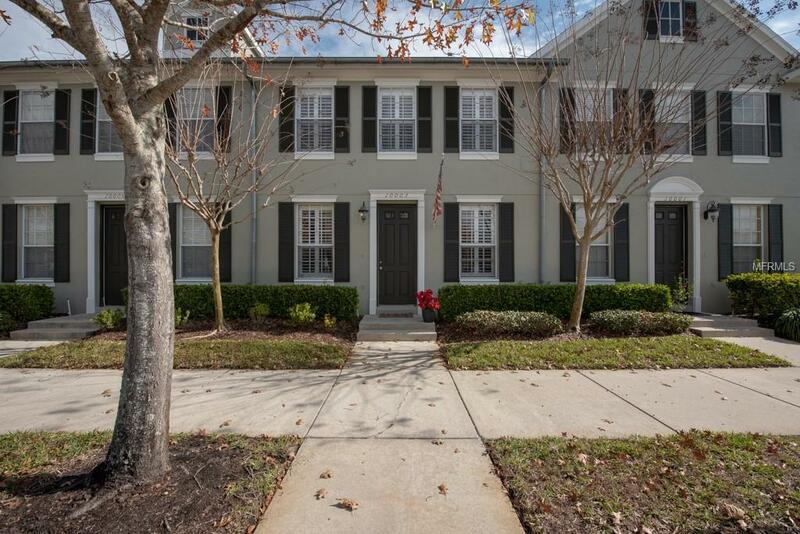 WARM & INVITING this well appointed 3 BR/2.5 BA townhome is located in desirable WEST PARK VILLAGE on QUIET tree lined street, WALKING distance to park, shops, restaurants, community POOL, TENNIS & WESTCHASE GOLF COURSE. Elegant kitchen w/STAINLESS appliances, sold spruce WOOD cabinets, & breakfast bar. Lovely family rm, living & brunch area w/sliders accessing the OVERSIZED SCREENED lanai & convenient 1/2 ba downstairs & laundry rm w/shelving & W/D remain. Large master suite w/walk in closet w/CALIFORNIA CLOSET shelving, UPDATED en-suite bath w/DUAL sinks & walk in shower, along w/ 2 additional bedrooms, located on 2nd fl. 2 car GARAGE is attached to porch & home. New A/C in 2018! Westchase is perfectly located within 20-30 min. of airport, Westshore Bus. District & 25-35 min. to St. Pete. & the beaches. Westchase Town Center rounds out the URBAN LIFESTLYE. Jaunt to Village Market, restaurant, coffee shop or drop off your dry cleaning .. it's all on your doorstop. Also within close proximity is Bell Tower, fountains, village greens, dog green, splash park, outdoor stage, West Park Village Swim & Tennis Center & Baybridge Park. There aren't many places like it in Tampa. Unique & close knit community. Come join in! Additional Lease Restrictions Buyer Responsible For Verifying Any And All Lease Restrictions.